Uganda has been taking the lead in developing a sectoral approach to reform of its justice sector with the support of a consortium of donors. 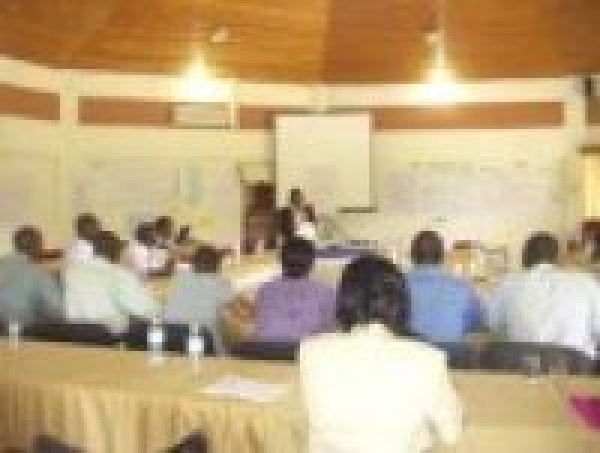 In 2004, the lead donors (the Netherlands and Ireland) commissioned the mid-term evaluation of Uganda’s justice reform programme from IHRN in partnership with Nordic Consulting Uganda Ltd. IHRN's East Africa office continues to be actively engaged in Uganda's justice sector reform, led by Ms Allen Asiimwe. The mid-term evaluation (MTE) team comprised Allen Asiimwe, David Greene, Karen Kenny (team leader), and Stella Mukasa together with Christian Eldon as resource person to analyse the sector from a human rights based perspective. The stakeholders decided to make the evaluation report public and both Volume I (PDF file 1,816KB) and Volume II (PDF file 470KB) are available from 2005. Background: In 2000 with a commitment to reform articulated as official Government policy, some ten institutions in the justice sector began work to foster partnerships with the private sector, NGOs and donors to develop the reform programme in detail. In addition, an institutional framework and a Secretariat was established to develop the strategic investment plan with a work plan for the medium-term. The J/LOS Strategic Investment Plan (SIP) was finalized and launched in 2001. The overall mission is “to enable all people to live in a safe and just society”. The Plan aims to improve the administration of justice through co-ordinated planning and budgeting of all sector institutions. In the medium term, the reform prioritises criminal justice sub-sector and commercial justice.